Lift off. The clock is running. How do you hear me, Houston? 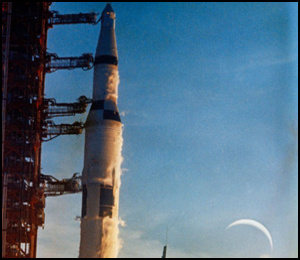 Mark Mode 1 Bravo, Apollo 8. Apollo 8, you're looking good. Mark Mode 1 Charlie, Apollo 8. Apollo 8, Houston. You are GO for staging. Over. Houston, how do you read? 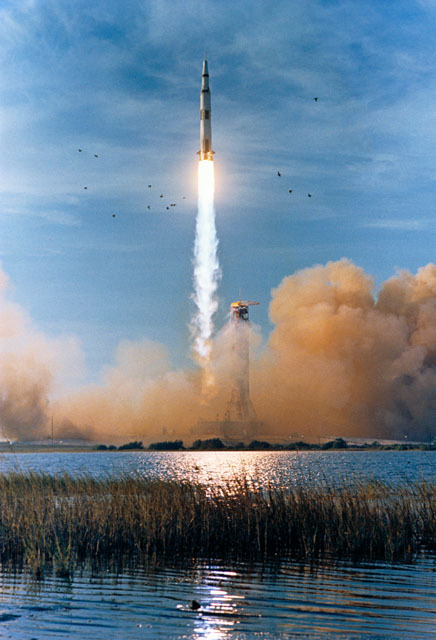 Apollo 8. 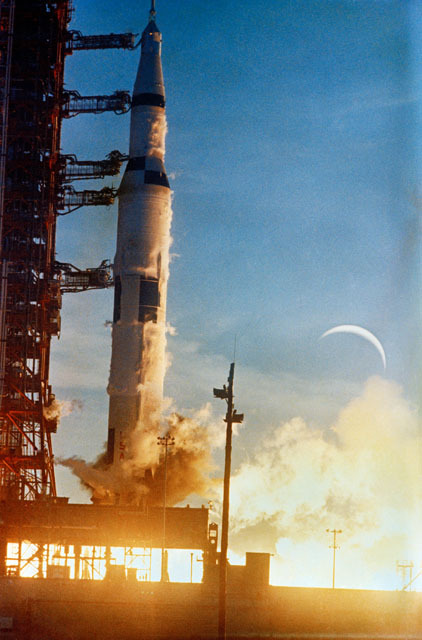 We hear you loud and clear, Apollo 8. Okay. The first stage was very smooth, and this one is smoother. Understand; smooth and smoother; Looks good here. Apollo 8, Houston. Your trajectory and guidance are GO. Over. Thank you, Houston. 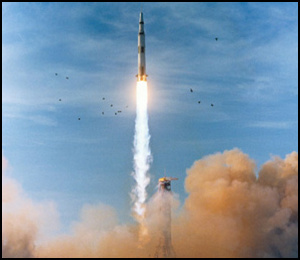 Apollo 8. Yes, you're looking real good, Frank. Apollo 8, Houston. Trajectory and guidance are GO. You have S-IVB to orbit capability. Over. Roger. Thank you. S-IVB to orbit. Just tried to PU shift, I believe. Roger. Thatch the correct time for it. Apollo 8, Houston. Your trajectory and guidance are GO. Roger. We're picking up a slight POGO at this point. Understand; slight POGO. Thank you. Apollo 8, Houston. You have level SENS time. Over. Apollo 8, Houston. You look good for staging.